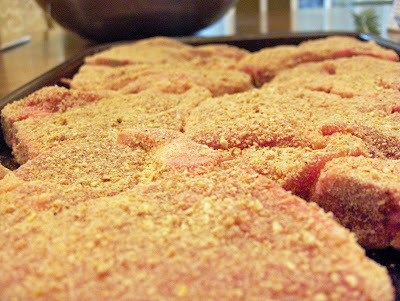 Perfect for chicken and porkchops, coat both sides of meat with these seasoned bread crumbs and bake. Meat stays moist and tastes great! 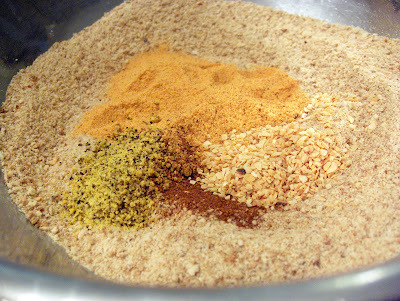 You can store the seasoned bread crumbs in an airtight container or freeze like I do for longer storage. I use generic bread crumbs. 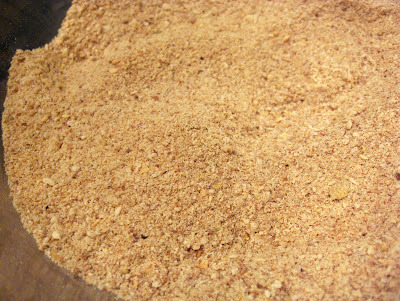 Experiment with more lemon pepper, Italian seasonings, Cajun spices, Southwest flavors or curry for a different take on these tasty breadcrumbs. Kids love it and it is so easy to make they can help in the kitchen! Mix ingredients thoroughly in a medium sized bowl. 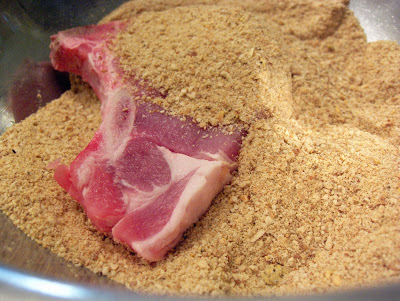 Measure out 1 cup of mixture for 6-8 porkchops or three to five pounds of chicken (depending on pieces). Evenly coat both sides of meat and then transfer to a baking pan. Bake for 25 to 35 minutes or until juices run clear and meat reaches proper temperature. We were so hungry, I forgot to take a photograph of the finished product. It was great!